Our Lumberjack Plaid iPad Mini Case is for the hipster in your life. A red and black buffalo check covers the case and your initials or name subtly kiss the corner. Our Lumberjack Plaid iPad Mini Case is for the hipster in your life. 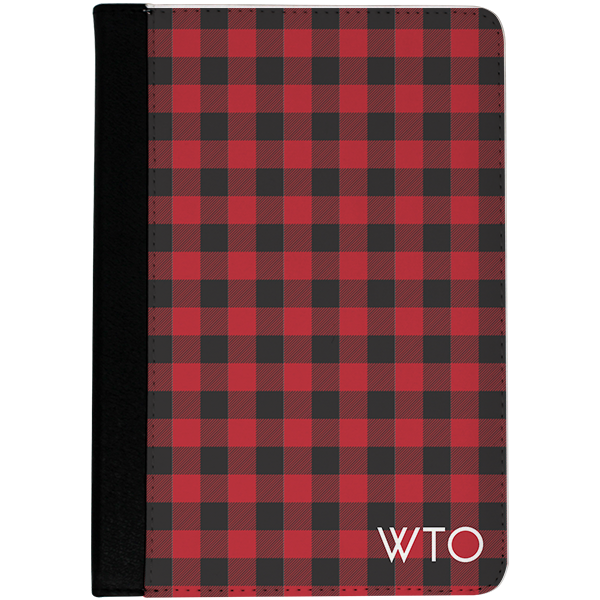 A red and black buffalo check covers the case and your initials or name subtly kiss the corner. Our case measures 5.75"x8" so it fits your iPad Mini securely. All our products are made in the USA. A monogram adds a touch of personalization.